A new book on finding one's true self causes controversy with a chapter saying that praise is harmful to kids. But parenting experts tell Yahoo! Shine that praise itself isn't the problem -- the issue is that parents have doing it wrong for years. In "The Examined Life,", Stephen Grosz pulls together insights gleaned from 25 years worth of work as a psychoanalyst. He became a father at age 50, and his experiences helping troubled, unhappy adults led him to agree with an old idea -- that empty praise does children more harm than good. Do Confident Kids Have More Future Career Success? "Admiring our children may temporarily lift our sense of self-esteem but it isn't doing much for a child's sense of self," he told the British newspaper The Sunday Times. "Empty praise is as bad as thoughtless criticism - it expresses indifference to the child's feelings and thoughts." "You can be indifferent to children through criticism -- 'Don't do that,' 'You're showing off,' 'You're cheeky,' all that sort of stuff -- which an earlier generation did," he continued. "Or you can express indifference through praise. The goal, which is very, very hard to do, is to listen to children." It's an idea that was first floated in the 1970s by Carol Dweck of Stanford University, whose studies showed that kids who were praised for their intelligence were stressed out and unhappy on future tests, while kids praised for the effort were engaged and more willing to continue to work hard. When praising kids for something they have no control over -- like their intelligence -- they felt less confident about their abilities than those who were lauded for their effort. But parenting experts agree that avoiding praise altogether isn't the answer. "I don't think anybody can live without praise," Betsy Brown Braun, author of "Just Tell Me What to Say" and "You're Not The Boss of Me," told Yahoo! Shine. "I think the problem is we need to cultivate intrinsic praise instead of making praise-addicted kids who are dependent upon the verbal doggie biscuit thrown out by someone else." The worst "verbal doggie biscuits" out there? "Good job!" and "Good thinking!" "All thinking is good," Braun pointed out. "You may have bad ideas, but if you're thinking, it's good!" By automatically saying "Good job!" whenever a kid does what he's supposed to do, praise becomes an expectation rather than a reward -- and that makes it much less powerful. "I think it has become like a reflex," mother of two Denise Schipani, author of "Mean Moms Rule: Why Doing the Hard Stuff Now Creates Good Kids Later," told Yahoo! Shine. "I do it myself -- you hear it constantly. 'Great job!' 'Good job!' And what did he do? He carried a cup from the table to the sink." 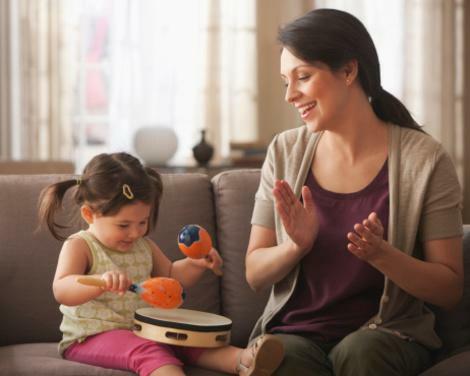 Instead of praising without thinking, parents should focus on the child's actions and efforts -- and don't worry, you won't damage a kid's self esteem by telling them that they need to try a little harder at something. True self esteem, most experts agree, comes from accomplishment, not praise. "What gives true self esteem is competency," Richard Bromfield, author of "Unspoil your Child Fast" told Yahoo! Shine. "All resilience really is is just competency in life." "When we praise kids too much, we steal away their naturally occurring internal incentives to grow," he added. "Rather than praise, what you really need to do is confirm their experience." It's the old idea of positive reinforcement -- praising a child's acceptable actions and ignoring the things you don't want to encourage -- and it's so tried-and-true that some schools are starting to use it as well. At the League School in Brooklyn, a day school and treatment program for kids with psychological and behavioral problems, teachers are using a technique called Teacher-Child Interaction Training (TCIT), a modified version of the Parent-Child Interaction Training used as behavior-modification therapy for years. It's a matter of training the parent to use praise constructively, as well teaching the child how to act appropriately. "You have to actively wait for the kid to resume appropriate behavior and catch it," Melanie Fernandez, director of the Parent-Child Interaction Therapy Program at the Child Mind Institute in New York, told the Wall Street Journal. "Otherwise they know they're more likely to get the reaction when they do the [disruptive] behavior." But positive reinforcement requires parents to be a little more present. "What you're really asking the parent to do is to really see the child, to really see what they're struggling with, what they have to deal with," Bromfield points out. "It's a form of praise, but it's really validation of caring, effort, and investment." The payoff is that kids start feeling better about themselves because they know exactly what they did right -- and they know they can do it over and over again. "If you're dependent upon praise, then you can't go forward unless someone is telling you 'Good job'," Besty Brown Braun told Yahoo! Shine. "The idea of praise is to encourage or to motivate. The idea that praise leads to high self-esteem is baloney." There is one form of praise that has tremendous power, as long as parents use it honestly and sparingly, she said. "It's saying 'I'm really proud of you'," Braun said. "Children really do want their parents to be proud of them." The key is not to overuse it. "You don't want to cheapen your praise," she warns. You figured that out fast! You really make being a parent fun! "We all like to feel good about what we've done. We like to feel accomplished and satisfied," Braun told Yahoo! Shine. "But the key is to judge yourself, to be your own giver of praise, so that you intrinsically know you've done well." Are Parents Setting Kids Up for Failure by Pushing Too Hard for Success?